The Ford Fiesta is still sovereign in Northern Ireland. Based on data published by SMMT, the Northern Irish new car market is actually down in 2015 at -0.2% to 57.097 registrations, going against the UK’s overall positive trend (+6%). 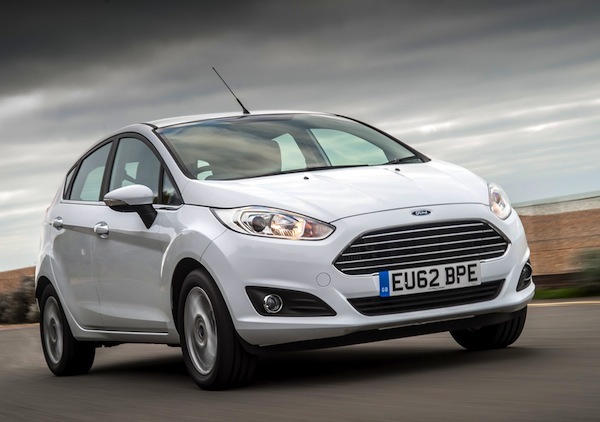 The Ford Fiesta (+7%) remains the most popular nameplate here and improves its market share to 4.2%, with the 5 next best-sellers identical to 2014 and led by the VW Golf (-4%), Ford Focus (+1%) and VW Polo (+9%). The Vauxhall Mokka and Ford Kuga make their very first appearance in the annual Northern Irish Top 10 at #7 and #8 respectively, while Renault manages to place two models inside the Top 10 like in 2014: the Clio at #9 (+8%) and the Captur at #10 (-9%). There were a few surprises in the monthly ranking: the VW Golf took the lead in February, May and October while the Hyundai Tucson shot to #1 in November and the Mini did so in December.